Clients can avail from us an extensive range of Lamination Printing Ink, which is specifically designed to be used in a wide variety of printing applications. This lamination ink finds widespread usage in printing polyethylene, polypropylene and polyester substrates that need to be adhesive laminated to another layer of film. 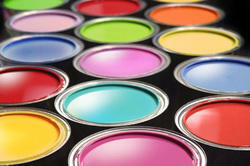 As a quality focused firm, we are engaged in offering a high-quality range of Reverse Lamination Ink. Matching up with the ever increasing requirements of the customers, our company is involved in offering PET Lamination Ink. 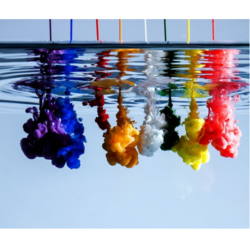 Our reputation in the market is largely attributable for manufacturing and supplying Liquid Lamination Ink. - Widely used in printing applications. We are an ISO 9001-2008 printing ink manufacturing company produces Quality Lamination inks for generally used to print polyethylene, polypropylene, and polyester substrates, which are to be adhesive laminated to another layer of film.